Ben Lomond Station is owned by John and Ginny Foster. They moved to the farm 26 years ago with their young family. Ben Lomond Station is located near Queenstown and is owned by John and Ginny Foster and is one of the few high country stations owned and operated by New Zealanders. In November 2011 their son Hamish returned to the farm with his wife Rachael to run Moonlight Lodge. Farming is the primary business on Ben Lomond Station - Merino sheep are farmed here because of their ability to survive the harsh winters and produce beautiful, super fine wool. 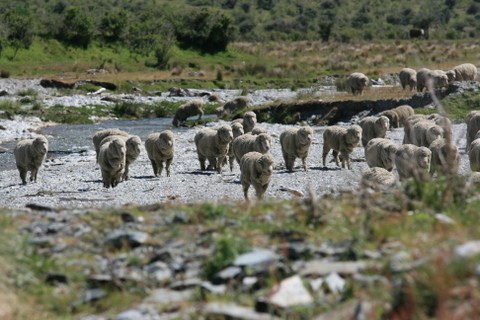 Around 7000 merino sheep live on the 33,000 acre station along with 200 Angus/Hereford cattle. The Fosters are passionate about the future of the high country and have strived to ensure sustainable farming and celebrating the rich gold mining history. Ben Lomond Station has been a key part of Queenstown's history for over 150 years. The first run holder for Ben Lomond Station was William Rees, the founder of Queenstown. Ben Lomond was part of a run that was over 200,000 acres and included all the land in this area east of Lake Wakatipu. William Rees reportedly flipped a coin with another early pioneer, Nicholas von Tunzelmann, to decide who got which side of the lake! 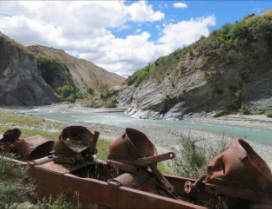 Gold was discovered in the Moke and Moonlight Valleys in 1862 and brought a flood of miners. Over 3000 people lived in the Moke and Moonlight valleys during the gold rush. These rivers were some of the richest in the world - there are stories of the early miners pulling up several ounces of gold with every shovelful - thousands of dollars today! There is still gold in the rivers and terraces and a few keen people still seek it with modern equipment such as suction dredges and metal detectors. Hamish and Rachael's wedding rings are made of gold that Hamish found in the Moonlight Valley.